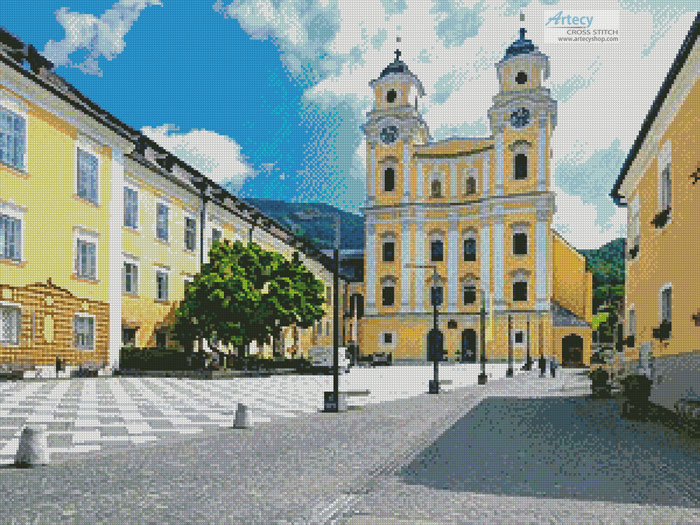 Basilica St. Michael, Mondsee, Austria Cross Stitch Pattern to print online. This counted cross stitch pattern of the Basilica St. Michael in Mondsee, Austria was created from a photo copyright of Martin Moxter-Alamy. If you already have this full version pattern and would like to stitch the smaller cropped version there is no need to purchase the cropped version as well.